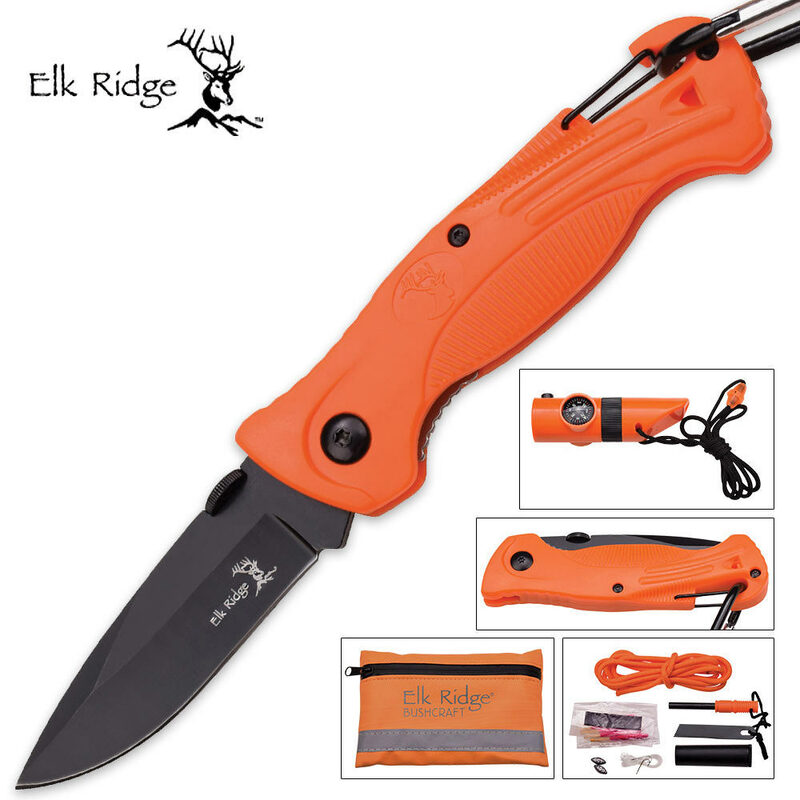 Elk Ridge Survival Kit | BUDK.com - Knives & Swords At The Lowest Prices! 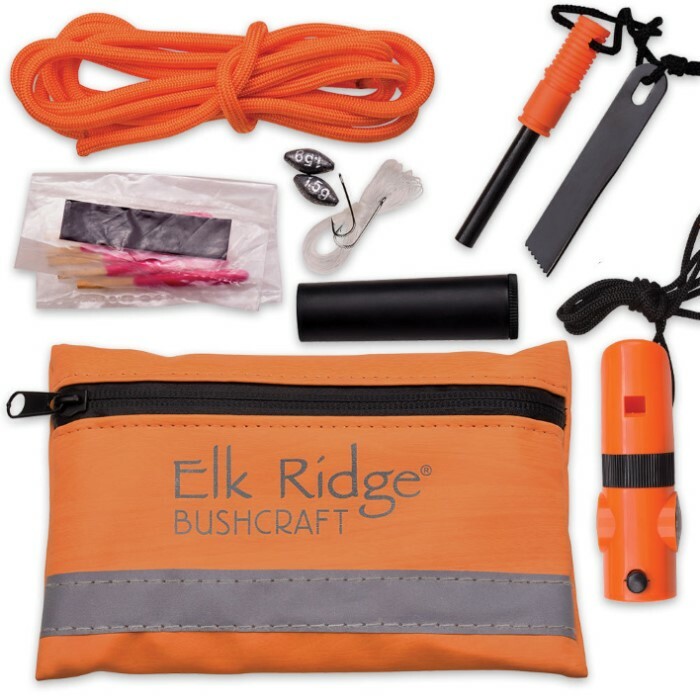 The Elk Ridge Survival Kit is an absolute necessity for any vehicle, backpack or go-bag. 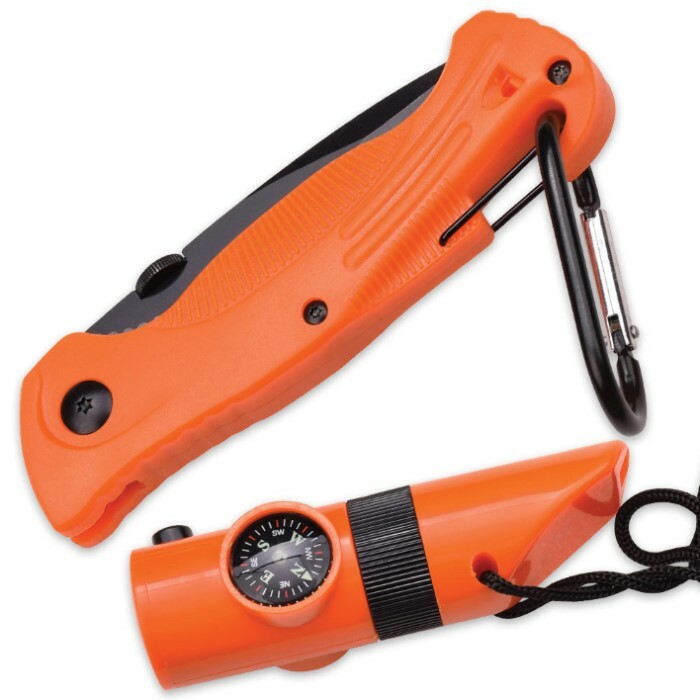 Do not leave home without this survival kit. In it you will find everything you need to face any situation including a 3" stainless steel folding pocket knife, ferro rod with striker, plastic whistle with compass and led light, 5' of 550 paracord and matches. The zipper pouch bag is made of durable materials and everything fits neatly inside.